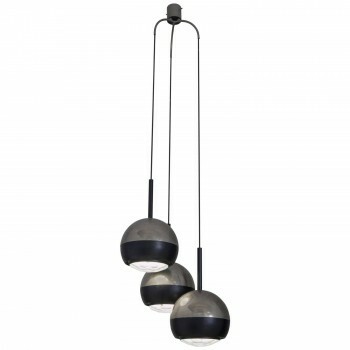 Italian design companies specialising in the production of innovative, functional lighting. capable of producing industrialised, mass produced work. 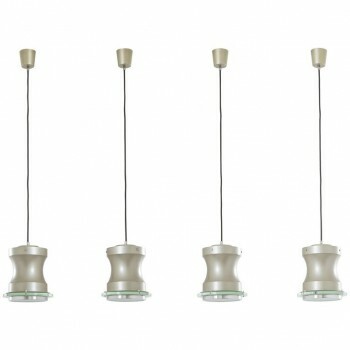 Stilnovo, set of four lusters, model 1335, metal, aluminium and glass, stamped, circa 1960, Italy. Measure: Height 110 cm, diameter 21 cm. 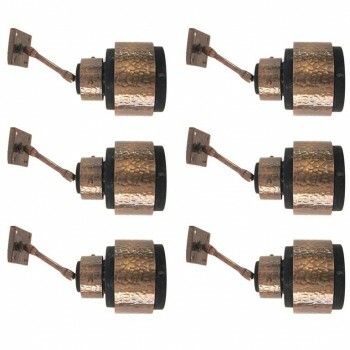 Stilnovo, suite of six sconces. Nickel-plated metal and glass, circa 1950, Italy. Measures: Height 27 cm, diameter 13 cm. Stilnovo, table lamp, brass, varnished steel and lacquered aluminium. Original Stilnovo label, circa 1950, Italy. Measures: Height 40 cm, diameter 38 cm. 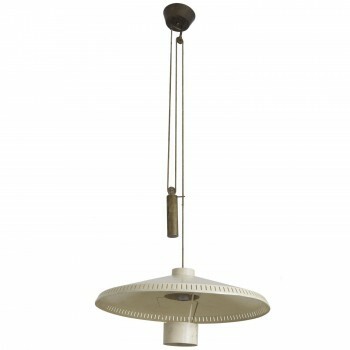 Stilnovo, sliding hanging lamp, original Stilnovo label, brass, lacquered aluminium, Circa 1950, Italy. Measures: Height: 290 cm or 130 cm, diameter: 65 cm. 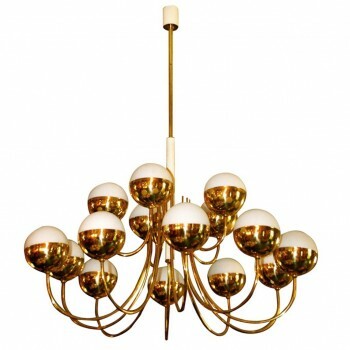 Stilnovo, A"1197" Chandelier, Polished lacquered brass and opaline glass, Circa 1960, Italie. With the manufacturer's label/ STILNOVO (label), Measures: Height: 128 cm, diameter: 76 cm. Stilnovo, Luster with fifteen globes, Circa 1970, Italy. Stilnovo, Luster with fifteen globes, Golden brass and glass, Circa 1970, Italy. measures: Height: 100 cm, Diameter 80 cm. Stilnovo, Pair of small night lights, Circa 1960, Italy. Stilnovo, Pair of small night lights, Glass, metal and lacquered brass, Circa 1960, Italy. Measures: Height: 20 cm, diameter 13 cm. 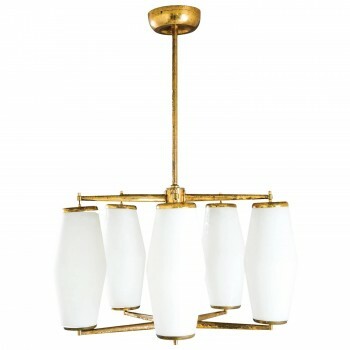 Stilnovo, "1230 Model" Chandelier, Circa 1960, Italy. Stilnovo, Chandelier "1230 model". Chrome-plated brass, Lacquered aluminium and crystal gems, Circa 1960, Italy. Measures: Height: 170 cm, diameter: 50 cm, each light diameter: 25 cm.